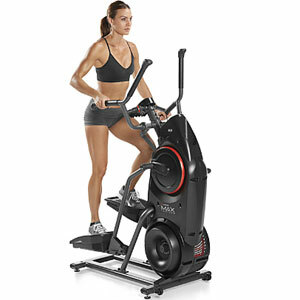 Is The Tough Bowflex MAX Trainer M3 Elliptical Able To Appeal To Enough Users? Bowflex is a name that many people associate with high-end, complex workout equipment, and that certainly seems to be the case with the Bowflex MAX Trainer M3 . This cross trainer seems to have a lot of moving parts and mechanisms that should provide a great workout. This sales pitch for this machine highlights two important factors here – the “revolutionary” 14-minute MAX Interval workout and the 2013 IDA Design Award. There is clearly high praise for this machine from those in the know, but what do everyday users actually make of it? 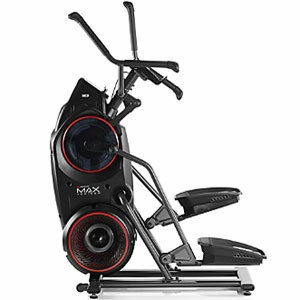 How beneficial has this Bowflex MAX M3 been for those in need of a tough workout at home? Let’s start with that idea of the award of great design. It may have been awarded this prize 4 years ago, but it still holds up. 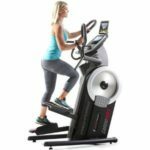 This is an interesting looking elliptical cross trainer that has all the right features and an interactive LCD display, all within a more compact model that should fit into most homes. It feels and looks like the high-end piece of Bowflex equipment that users expect. It isn’t pretty, but it isn’t meant to be. As for the workout, this 14-minute session is designed to provide 2.5 times the calorie burn of other systems, and there are also 8 different levels of manual resistance on board to ramp up the intensity. Users can also take advantage of the heart rate chest strap that, unusually, is included for free. Some go into this Bowflex M3 cross trainer assuming that a 14 minute session each morning is easy compared to treadmill. But they are surprised at how much this tests them to their limit and gets the heart and lungs working. It is a tough workout for great results, and there is the added bonus that it is low impact on the knees. Are there any issues with this Bowflex MAX Trainer M3 that buyers need to be aware of? The vast majority of users of this machine are impressed with what they receive and give nothing less than 5 stars. The only aspect to mention here is perhaps the assembly process. This is a complex machine with lots of high quality parts to fit together. As a result, the process can take some concentration and effort, with some suggesting it is a two man job. Yet, there is the interesting comment from one buyer that this is “great for those that like to play with LEGO”, and the instructions seem simple enough. Summary: does this lack of negativity mean that it is easy to recommend this Bowflex MAX Interval Trainer to fitness fanatics? The style of the workout on this machine, and the slightly imposing design, mean that there is a clear demographic with this device. This is best suited to all those that want to improve tone and cardio and aren’t afraid of the hard work. This machine is tough when it needs to be, but users can adjust the settings and enjoy the data and comfort to add to the appeal. 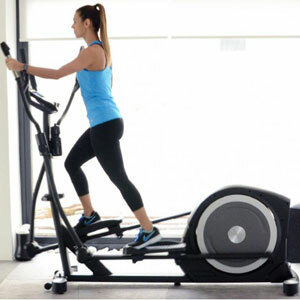 Those that want a tougher alternative to the treadmill in an at-home system can’t go too wrong with this Bowflex cross trainer . 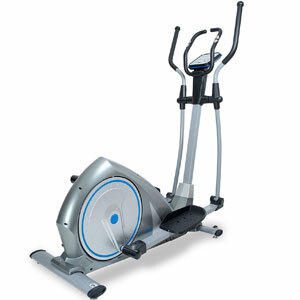 Find more reviews about the Bowflex MAX Trainer M3 Elliptical Machine on Amazon here.